Around the world, Cinqo de Mayo has become a day to celebrate the culture, food and music of Mexico. 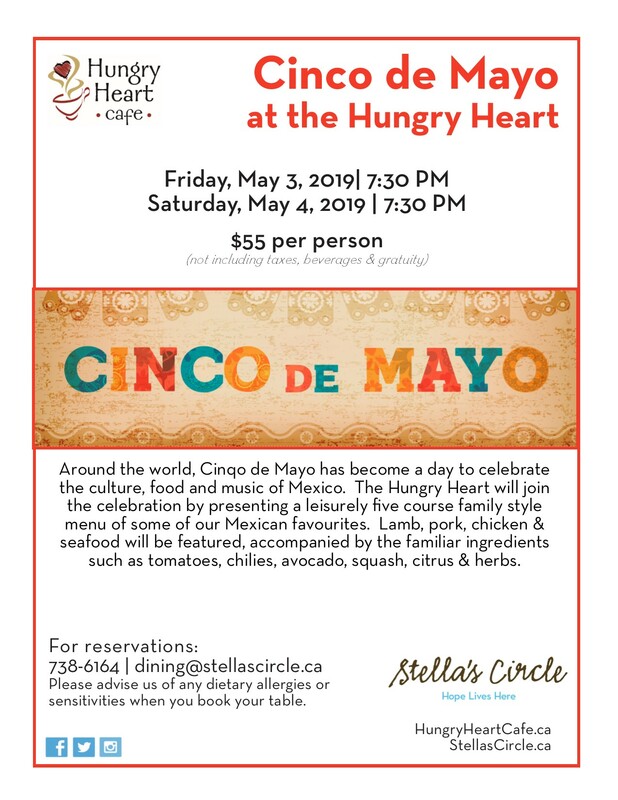 The Hungry Heart will join the celebration by presenting a leisurely five course family style menu of some of our Mexican favourites. Lamb, pork, chicken & seafood will be featured, accompanied by the familiar ingredients such as tomatoes, chilies, avocado, squash, citrus & herbs.